In a recording made in the 1970s my father talks about being paid £30 a month and living like a lord, yet still managing to save. 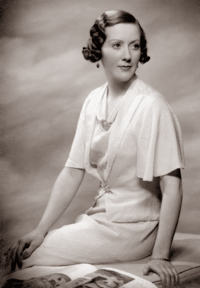 John went home three times between 1933 and 1939 and while on a short leave in 1935 he began the courtship of my mother, Edith Campbell. 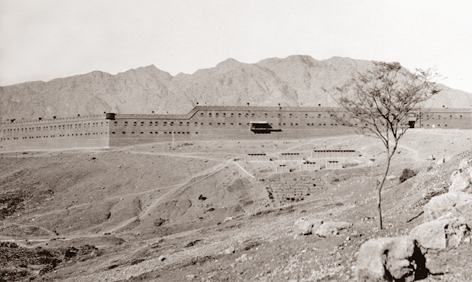 During that time the battalion moved up the Khyber Pass to Landi Kotal. The 2nd Jats left the Khyber in October 1935 for Hyderabad Sind by train via Peshawar, Lahore and then on to Hyderabad (see map). He never got over the thrill of travelling in that way. 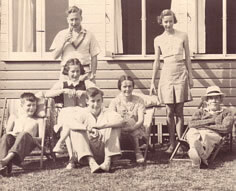 In 1936 my father was appointed quartermaster to his battalion and in 1937 he goes home for his long leave and takes his family on their very first holiday. 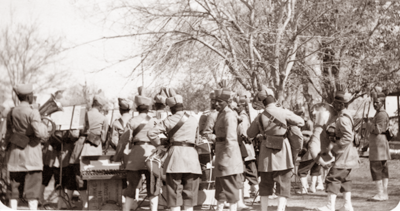 In the November of 1937 he becomes Adjutant to the Battalion. He attends the Small Arms School in Pachmari and while there the battalion moves to Chaman on the border of Afghanistan. The journey would be the usual leisurely train trip up north from Hyderabad, Sind to Sukkur, onwards over the Indus to where the frontier hills begin and through the Bolan Pass to Quetta (see map). My father writes that while war now seemed inevitable, life went on as normal; training, parades, annual inspections and guest nights in the Mess continue - with the band playing on.